5th February, 2013 – London, UK – Uros Ltd. today announced momentum for the Goodspeed device and service that now covers 10 countries across Europe including Sweden and Denmark, the latest additions to the service. 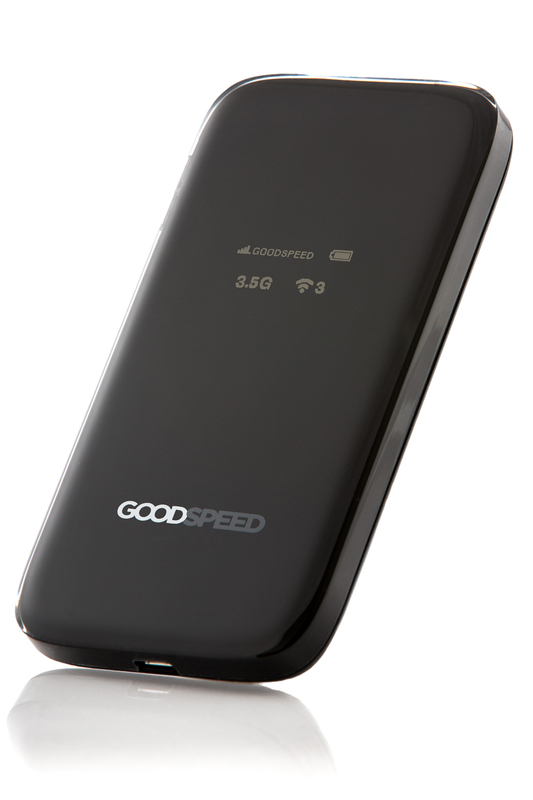 In 2013, that number is set to double as Goodspeed continues to provide practically unlimited, high speed mobile Internet on-the-go for users who want easy access to the Internet while travelling abroad. High data roaming fees and poor connectivity when travelling abroad remains a major cost and productivity issue for international travellers. As the need to stay connected and mobile data usage increases, the problem is only going to get worse. We are continuing to expand our service into new countries in Europe, and in 2013 we plan to bring the service to Asia and the US as well, so that travellers can travel freely with a secure, roaming-free internet connection in their pocket. Since launch at the end of 2012, Goodspeed has enabled a number of companies across Europe to reduce data roaming fees and avoid bill shock. One of these, Linear Technology, already had an international travel policy in place to promote mobile phone and roaming cost reduction, but executives were impressed by the freedom the service offered to connect whenever and wherever. The Goodspeed solution offers flexibility to members of Linear Technology's international sales force, providing continuous connectivity across regions whilst minimising the cost of internet connectivity. The travel industry can play a vital role in helping to solve the corporate traveller connectivity issue. In January, we launched a partnership with Area GlobalStar, a leading business travel company in Finland. Area has long been a pioneer in bringing mobility to the travel business, and with Goodspeed saw a further opportunity to help solve roaming issues for Finnish travellers by selling the device through the Area website. Goodspeed is exhibiting at the Business Travel Show 2013 on 5th and 6th February at London’s Earl Court, on Stand 124. At the show Jyrki Halttunen, VP, Sales and Marketing for Goodspeed at Uros will be hosting two panel sessions: Increase productivity and lower travel costs: make traveller connectivity easy with Goodspeed on 5th February at 16:15 and 6th February at 13:15, both sessions will be held in SC5.